If nausea and shortness of breath present individually, they aren't a big concern. Everyone at some point of the life will have a certain level of shortness of breath or nausea. However, when these two symptoms are present together, they may be a sign of a serious medical condition, even a life-threatening one which requires immediate medical help. What Can Shortness of Breath and Nausea Indicate? Gastritis is an inflammation of the stomach lining. Common signs of gastritis include abdominal pain located in the upper part, bloating, nausea and vomiting, indigestion, heartburn, hiccups, loss of appetite, a burning sensation between two meals, black tarry stools, etc. In certain cases, additional symptoms like chest pain, shortness of breath, sweating, etc., may occur. You should seek immediate medical help in cases when you vomit blood, your vomit has a yellow or green color, or you have rapid heartbeat, chest pain, shortness of breath, fever and abdominal pain. Another cause of shortness of breath and nausea is heart attack. A heart attack is a serious and life-threatening medical condition which requires immediate medical help. It occurs when there is not enough blood that flows to the coronary arteries which supply the heart. When the blood flow to the heart is interrupted, it can lead to serious and permanent damages to the heart muscle. How Can Shortness of Breath and Nausea Be Treated? In cases when gastritis is the cause, its treatment depends on the underlying cause of gastritis. In cases of acute gastritis caused by alcohol abuse or nonsteroidal anti-inflammatory drugs, stopping alcohol abuse or the use of these drugs will relieve the symptoms. The most important thing when it comes to the treatment of gastritis is a lifestyle change. Follow these tips in your daily life. Avoid certain types of food which will irritate your stomach, such as spicy foods, fatty foods, fried foods, and acidic foods. Don’t drink alcohol as it irritates the lining of your stomach. Avoid stress as it is known that the symptoms of gastritis just get worse due to stress. Yoga, massage, tai chi, meditation, swimming, walking, etc., can help you reduce stress as much as possible. Choose safe pain relievers such as acetaminophen which tend to have a smaller effect on your gastritis. What if the shortness of breath and nausea are caused by panic attack? Certain medications and psychotherapy can help treat panic attacks, based on the severity of your panic attacks, your medical and family history, etc. With proper treatment, the frequency and intensity of your panic attacks can be reduced. Psychotherapy is considered as very successful when it comes to the treatment of panic attacks. Through psychotherapy, you will learn how to understand the reason for your panic attacks and how to best cope with this problem. Certain medications such as benzodiazepines, selective serotonin reuptake inhibitors, serotonin, and norepinephrine reuptake inhibitors, can help you reduce the signs of panic attacks. Avoid alcohol, caffeine, smoking and illegal drug abuse. Avoid stress as much as possible through relaxation techniques or stress management. Stay physically active as it will have a calming effect on you. Get a good night sleep which will make you feel good and fresh the next day. Join a support group if you find it necessary and helpful for you. Talking with other people with similar problems like yours might be very helpful in dealing with your own problem. 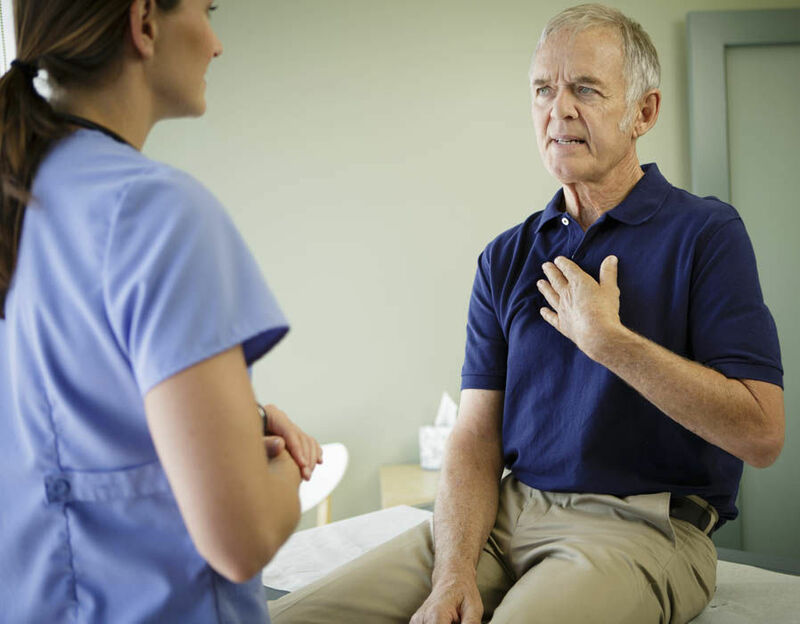 A heart attack is a serious and life-threatening medical condition and for this reason, you need to act quickly and seek immediate medical help. Perhaps, the most important thing is to know and recognize the signs and symptoms of a heart attack in the first place. Don’t drive yourself to the hospital as this will just make your condition get worse. Take nitroglycerin immediately if your doctor prescribed it to you. Take aspirin immediately as it will help reduce the heart damage by preventing new blood clots.